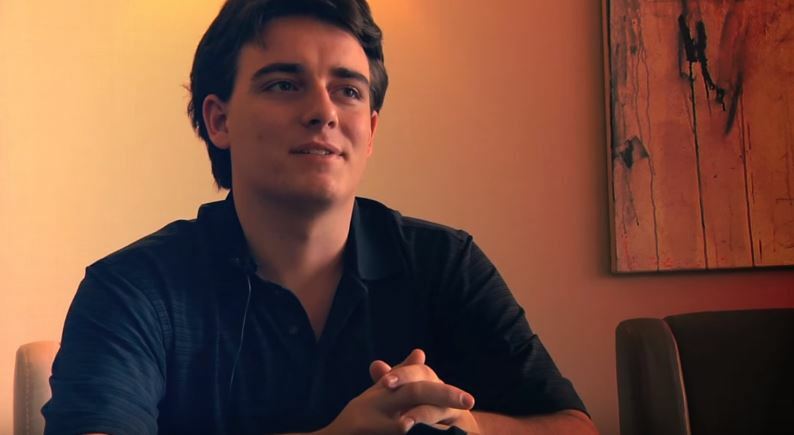 If Donald Trump can’t build his wall across the border to Mexico, Oculus founder Palmer Luckey will build him one—at least in the virtual sphere. Luckey, who is a known Trump supporter, has been putting his genius and resources toward a Big Brother technology that will effectively shut down efforts by illegal immigrants from across the pond to enter U.S. territory. “We need a new kind of defense company, one that will save taxpayer dollars while creating superior technology to keep our troops and citizens safer,” he said in an emailed statement. Forbes magazine estimated Luckey’s net worth to be around $700 million. The company he founded, Oculus, was acquired by Facebook in March 2014 for $3 billion. Two years later, he left after admitting that he donated $10,000 to Nimble America, a pro-Trump organization accused of initiating underhanded tactics to defame Hillary Clinton. Luckey founded a startup based in Southern California which utilizes LiDAR or Light Detection and Ranging for border security. The remote sensing technology is used in geographic mapping, hydrographic survey, coastal risk analysis, and disaster-mitigation efforts like storm surge modeling. Apparently, Luckey and Steve Bannon, the political strategist for Trump, as well as Interior Secretary Ryan Zinke, reportedly discussed the idea of using accurate sensors and cameras for border security. In a Reddit thread with the title Steve Wozniak says he’s disappointed in Palmer Luckey, the 24-year-old said that “founders” should not dissociate themselves from politics just to please everybody. In that particular article, Apple co-founder Wozniak said that the only reason Luckey donated to Nimble America anonymously was that he thought he was doing something wrong. But Luckey said that anonymity doesn’t necessarily mean guilt. Luckey, who is apparently a “prepper”—a person who prepares for doomsday scenarios by shoring up defenses and stockpiling food—has shown his passion for missile silos, as his two properties in upstate New York and Chico, California are built on top of decommissioned Atlas and Titan 1 missile silos, respectively. He also reportedly owns several military vehicles, particularly vintage ones, as well as three helicopters. He has a license as a student pilot.